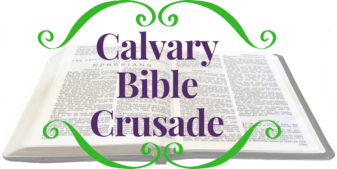 Thank you for your interest in supporting Calvary Bible Crusade! With your generous support, you are helping the Gospel of Jesus Christ to reach even more people with the truth of God’s Word. Prayerfully partnering with us provides you with a unique opportunity to glorify God as He calls people to salvation through a myriad of Biblical evangelistic methods. We are blessed to see what God has in store for Calvary Bible Crusade, our ministry partners, and the many thousands of souls who have heard, are hearing, and will hear the Good News proclaimed to all the world! Donations to Calvary Bible Crusade are tax-deductible through our partnership with The Ministry of Unification , Inc. DBA “Revival USA” FEIN: 58-2508208 If you give via check, please make checks out to “The Ministry of Unification” for Joshua Richards, and leave the memo line blank. Joshua and Rachael Richards are dedicated and fruitful evangelists. They are kind, caring and considerate of others; they support their local church; they possess humility that leads them to seek wisdom about their life and ministry and they love each other. We have known each other for several years now including the last year and a half when they have been part of the George Whitefield Program [GWP] which is for men who are seeking to be full-time evangelists. During this time they have demonstrated an increasing desire to evangelize more, they have made decisions to put their life on a path to accomplish this goal and have been exemplary participants in the GWP. Joshua and Rachael have my full endorsement and I encourage you to join them to preach the Gospel, to pray with and for them and to partner financially with them. Findlay has many options for its people when it comes to finding a church home, however, something we lack here is evangelism. Even among the largest churches, you never see anybody out on the street preaching the Gospel, which is why I had to pull over the night I saw Joshua standing on the corner with his sign and the Bible in hand. It was awesome to see someone brave enough to share the love of Jesus so publically, and I believe what Joshua and his wife, Rachael are doing is nothing less than the work of God. May the Lord Bless this ministry! Friday, November 23rd in the early evening me and my wife were sitting in the square of Urbana, Ohio awaiting the Christmas parade. A man approached me with a tract about Salvation through Jesus Christ. I was very happy and kind of convicted knowing I should be passing out tracts also. Jesus said go into all the world and preach the Gospel. Truly the harvest is plentiful, but the laborers are few, pray therefore the Lord of the harvest will send more laborers into the fields. Joshua thank you for sharing the Gospel with me and thank you for praying for my foot. Your evangelizing the Gospel of Jesus Christ encourages me to share the Good News of Jesus with others. I know it was not an accident we met and truly the steps of a good man are ordered by the Lord. Thanks again my friend, that truly opened my eyes that I should be witnessing to others about Jesus also.